United Pallet Services, Inc. (UPSI), of Modesto, California, has recently introduced The PointGUARD™, an innovative plastic shield that protects wood pallet entry points from forklift damage. According to UPSI, PointGUARD™ also eliminates product damage caused by strapping and top lead board damage and will make the wooden pallet stronger, more durable, and more efficient. 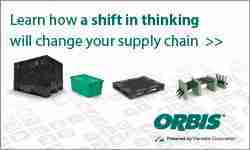 Its patent pending design has the potential to increase the life of a pallet by adding several additional cycles or turns to a pallet before it needs to be sent out for repair. The idea for the pallet protection product came out of the insight that one of their customers loses between $10-$15 million a year due to product loss caused by damaged pallets. With the realization that if it could create a product that could reduce that amount, it could change the way companies look at the wooden pallet. Aimed at in-house or captive pallet environments, UPSI says that PointGUARD™ can be molded to almost any size needed by the customer, including both stringer or block style pallets. 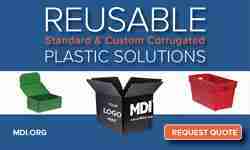 Manufactured from 100% recycled polypropylene, it can be easily installed or removed as it just needs 12 screws. UPSI has now set up the second phase of testing, a cycle test, at Virginia Tech for The PointGUARD™. This test will determine how many additional trips or cycles a pallet can make when The PointGUARD™ is attached. Testing should be complete by the end of June 2012. 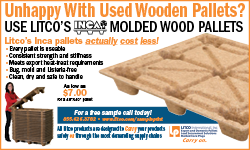 For more information, check out the website at www.palletpointguard.com or call United Pallet Services, Inc. at (209) 538-5844.